Anyone who works with lots of others will have heard the term team work done to death, but it is what makes a business successful. Everybody working together for the common cause of making their company the best in its field is something we should do, but there are always those who clearly have a problem with spelling as they clearly do think there is an I in team. For a team to be successful you all have to be of the same mindset and know what each other is thinking and that you all have each other’s backs. If there are members in your team who have not bought into this philosophy then it may be time to send them these Team Ethos e Christmas cards for business to remind them of their responsibilities to the team. The vision is of a calm sea but you know that sooner or later it will crash against those rocks. 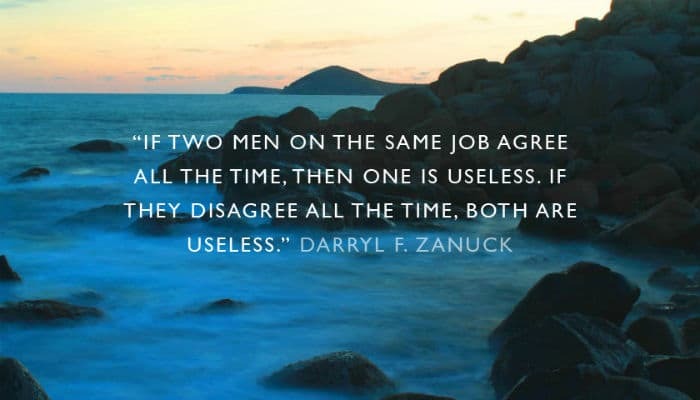 The message across the top reads “If two men on the same job agree all the time then one is useless. If they disagree all of the time both are useless”. A succinct message that may be all is needed to bring them back on track and lose the I altogether. Sending business holiday ecards is common practice for organisations these days for the Christmas holiday season, why don’t you join them with Ecard Shack? © 2019 eCO2 Greetings Ltd.